Around the world, more and more state lotteries are offering up online lottery sales that also provide players with the chance to play scratchcards online. Lotto NZ wants to follow suit, but the Problem Gambling Foundation has expressed some concerns. Recently, Lotto NZ has issued a tender that calls for gaming companies to create ‘instant win games’, which will be offered through the MyLotto online platform. The company has recognised the popularity of online scratchcards, and hopes to improve revenue by offering them to MyLotto players. Currently, there are 400 000 registered users on the platform, which will certainly yield some significant returns if this new product is introduced. Instant win games account for 15% of all LottoNZ sales, so it only seems natural to make these games available online, where players can access more conveniently. The Problem Gambling Foundation is concerned about players being able to access scratchcards on the internet. With mobile technology become more advanced, responsible gambling advocates feel as though vulnerable players will use their smartphones or tablets to play instant win games at any time and from virtually anywhere. 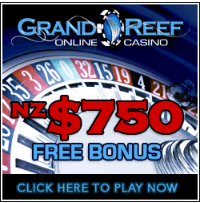 LottoNZ has addressed these concerns by stating that strict responsible gambling measures will be enacted. For example, some online lottery sites limit users to only player a certain number of instant win games a day; others offer players the chance to set limits so that they don’t spend more than they can afford on lottery tickets or scratchcards. While these seem like plausible solutions, the Problem Gambling Foundation has yet to respond.